A slipped or herniated disc is a condition whereby a disc in the spine leaks a gel into the rest of the spine, causing severe pain and mobility issues in the person who is suffering from it. Often, the condition can be treated or managed with medication (both over the counter and prescription) or physical therapy, or a combination of both. In one in ten of the cases, however, surgery is the only available option to alleviate the problems caused by the slipped disc. What is Bonati Disc Surgery? The Bonati Spine Institute is the world’s leading centre for advanced spine surgery, with over 25 years’ experience. They boast a 93.7% success rate, making them highly competent and trustworthy. Their patient care and patient involvement is central to their practices. They offer a very transparent service and credentials of all their surgeons can be checked, as well as offering testimonials from previous patients who have been treated at with Bonati Disc Surgery. They pride themselves on offering surgical procedures that cause less pain and come with quicker recovery times. With Bonati Disc Surgery, they will always endeavour to ensure that you can be treated as an out-patient, meaning you will not have costly overnight stays in a hospital. The pain is severe and radiates into other body parts and extremities of the body. The pain has not responded to non-invasive procedures such as rest, medication and physiotherapy for three months. Suffer from pain from facet joint disease. 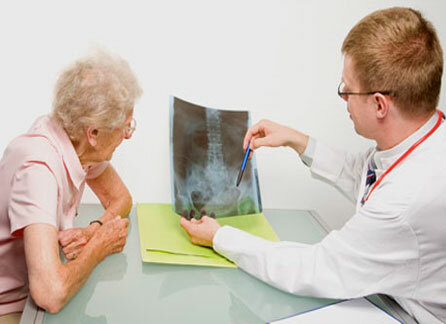 As these procedures are classed as essential treatment, they are often covered by insurance companies. It is your own responsibility, however, to determine whether your insurer will cover the costs and to what level. The Bonati Disc Surgery institute, like many of the world’s leading health care providers, are based in the United States. The campus occupies an eleven-acre campus in Hudson, Florida, within a reasonable distance of Tampa International Airport. So, should you be one of the unlucky few who will require surgery on your disc problem, you can rest assured that you will be in safe, professional hands at the Bonati Disc Surgery institute. Their expertly trained staff will take great care of you and their levels of patient care are one of the many things they rightfully pride themselves on.